Not many people understand that there’s a lot that goes into blogging. While photography and content creation is a big part of it, maintaining a successful blog is a full-time job that requires many other skills. From staying on top of your marketing campaigns and social media to pitching brands and negotiating deals, you can easily spend on blogging all your time – 7 days a week. I can honestly say that without a drive, self-confidence and perseverance, I probably wouldn’t be here today writing this post. 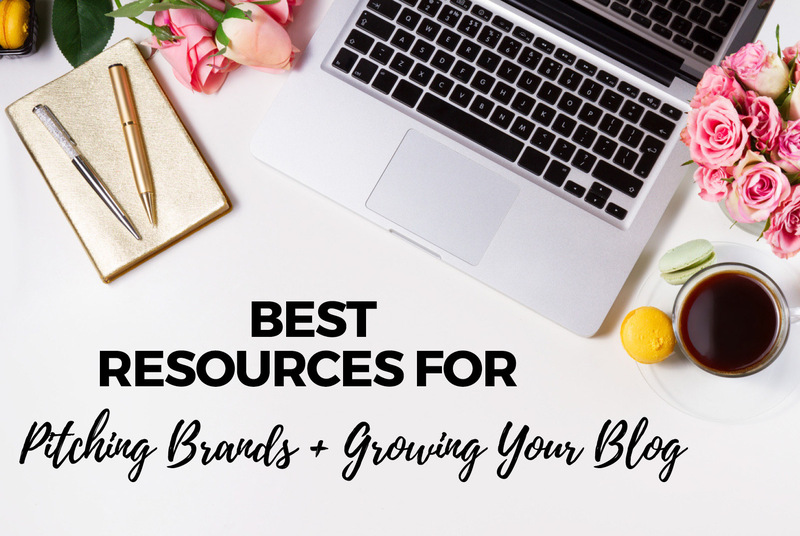 Since I get asked a lot about the business of blogging, a few months ago I introduced posts sharing insights into what I do to grow my brand. Many of it comes from my experience of doing this for 4+ years. I do, however, have to acknowledge all of the resources that I’ve found really helpful in growing my business. One of the major game changers for me was discovering Julie Solomon and the Influencer Podcast. If you haven’t heard of Julie you must have been living under the rock because she is a pitching guru with a huge publicity background. Having said that, you know she’s coming from a place of a lot of experience knowing both sides of this business – the PR end and the blogging/ content creation one. And you know what’s the best part of following Julie? 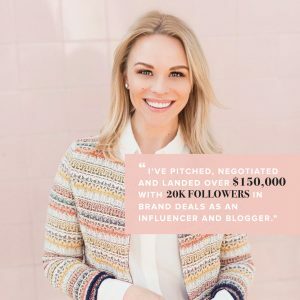 She DOES NOT shy from sharing all of the important and helpful tips, insights and technics you need to become better at pitching and negotiating deals for your brand. I know because I did one of her Pitch It Perfect courses a few months ago and I’m already seeing great results. What is Pitch It Perfect? It’s a branding and marketing pitch program for influencers, bloggers and entrepreneurs to learn the step-by-step pitching brands formula for executing a strategy that converts into lucrative brand deals and media placements for your business. If you’re interested to learn more about what Julie can do for your brand, you’re in luck! Tomorrow, Saturday Dec 2nd at 11am PST, she’s hosting another FREE webinar filled with valuable content (sign up here). 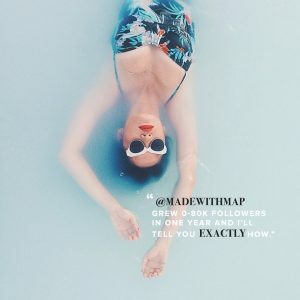 Even better, she teamed up with Jennifer Puno of People Map to also talk about the Instagram Marketing and How to Grow Real Followers. Sounds good, right? Trust me, I wouldn’t be talking about this if I wasn’t a big fan of what Julie does. I highly encourage you to sing up for this FREE webinar because they only thing that can happen in this scenario is that you leave with LOADS of relevant information. That’s what happened to me. If you want to know exactly what they Julie and Puno will be covering tomorrow during the webinar, check out the list below. Explains exactly who to pitch – no more cold pitching! Instagram Marketing: Grow Real Followers? List Building with PeopleMap: Strategically attract followers and partners. The Mine & Grind: Proactively get eyeballs on your content. Instagram Basics: The nuts & bolts. Tracking Growth & Conversions: Confidence and clarity to grow. Hashtag Programs for UGC: Strategic outreach and purposeful conversations. Content Strategy for ROI: Product first. Social Proof with Partnerships: Swapping audiences. Influencer Seeding: Amplifying your reach with UGC. Team Building and Freelancers: People are shortcuts. Remember, you can SING UP for this FREE webinar HERE. Who’s joining me tomorrow? I hope to see you then! Julie Solomon launched it but I’m so happy to spread the word about it!